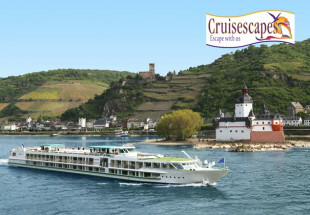 Rewarding Times are delighted to team up with Cruisesapes to offer you this fabulous River Cruise in Paris. Enjoy 3 amazing days in Paris aboard the MS Seine Princess. Paris, eternal, romantic, unusual, creative and modern: discover the city's architectural and cultural heritage. 3 nights accommodation on board on a full board basis from dinner on the first evening to breakfast on the morning of departure. Guided visit of old Montmartre. The Basilica of Sacré-Coeur has a surprising Byzantine style. Day 1 : On arrival in Paris, you will be transferred to the quay to board your river cruiser where you will be welcomed on board by the hostess and once settled into your cabin dinner on board is followed by a “Titi Parisien” cabaret show. Day 2 : After breakfast on board, this morning is devoted to a panoramic guided visit of Paris by coach. Discover the renowned sights and attractions of this magnificent city. Panoramic guided visit of Paris by coach. You’ll discover the renowned sights and attractions of this magnificent city. 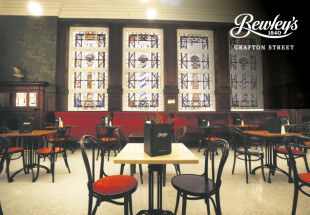 Free afternoon to explore this fascinating capital city on your own. Evening of dancing. Depending on the water level of the river, we may also cruise to the business district of La Défense in the course of the evening. Return to the previous quai (1) in Paris. Overnight. Day 3 : Guided visit of old Montmartre. The Basilica of Sacré-Coeur has a surprising Byzantine style. Free afternoon. Since we are docked just a few minutes’ walk from the Eiffel Tower and the Trocadéro gardens, and the Invalides is just a little further away, it is easy to visit Paris at your leisure. 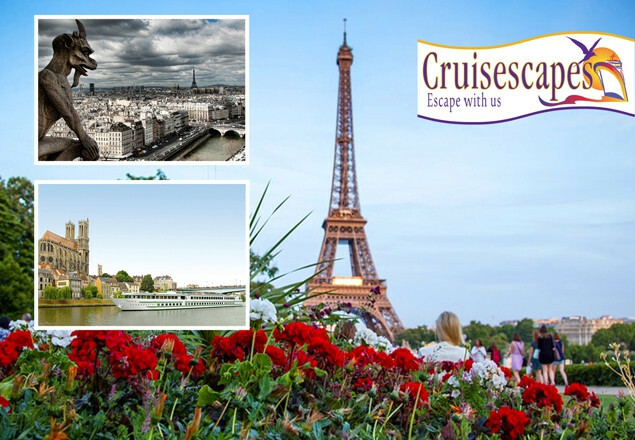 Gala evening and the “Paris by night” cruise (depending on the water level), where you’ll float through the beautifully illuminated city, particularly attractive when viewed from our vantage point on the Seine. Day 4 :Breakfast on board. Disembark and transfer to the airport for your flight home. Flight Dublin or Cork to Charles de Gaulle. Once you receive your voucher please contact Cruisescapes on 01 2941000 with your names, and passport details ready by 23rd November 2018.